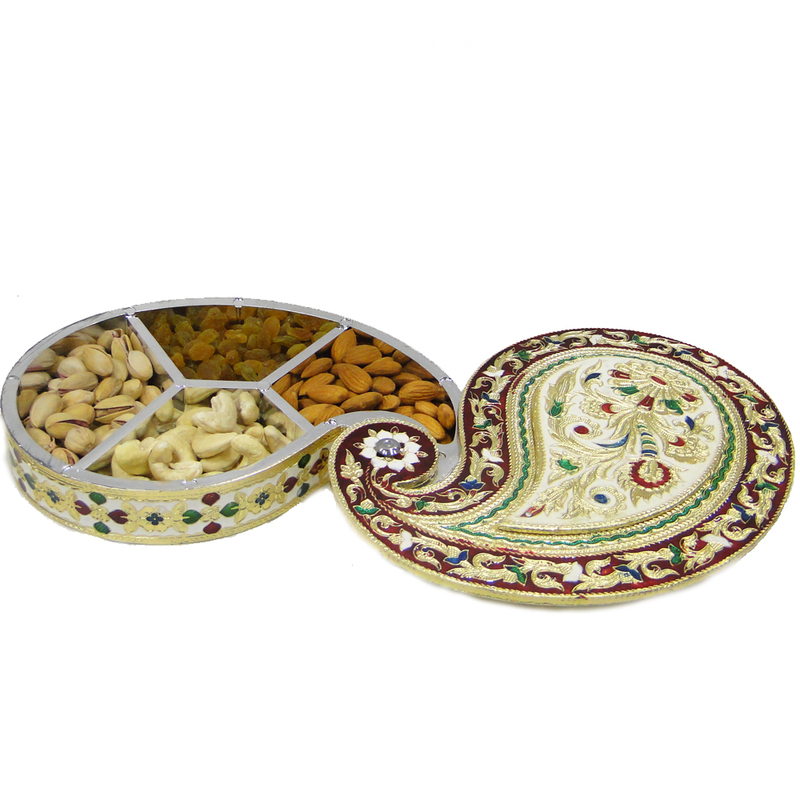 This gift box of appealing shape made of wooden base and covered with a brass lid exquisitely handcrafted with meena work is a work of Read More..meticulous finesse from master craftsmen. It has four slots for keeping dry fruits or other delicacies. This piece of handicraft can be a unique gift item this Diwali and on other special occassions. 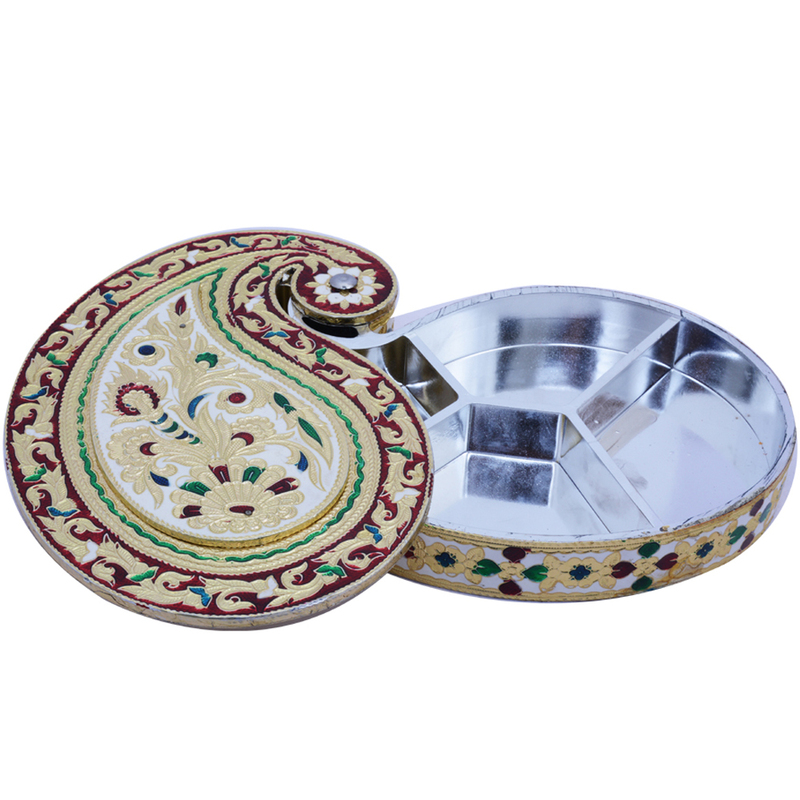 Apart from the shape and finesse of the tray and the lid the unique meenakari work on the lid deserves a special mention. Show Less..